My second cousin and two friends. They are why I will be at the Race for the Cure this year. I’ve participated in cancer walks before, in honor of my grandfather, but this will be my first Susan G. Komen Race for the Cure. My cousin passed away when I was young. Before I knew much about breast cancer. In the last few years seeing two friends diagnosed and go through treatments has been eye-opening. It reminds me how important mammograms are and how the support of community makes a difference. Each time I read an all-clear update and see their beaming happy faces when friends turn out to breast cancer events in the community it makes my heart swell. Seeing people supporting survivors and honor those who have lost their battle reminds you how much good is still in the world. I’m looking forward to being a part of that on the Valpak Team at Race for a Cure in Omaha this year. I’m not a runner so thank goodness the race is for all ages and fitness levels, even walkers like me! I encourage you to join a team or race as an individual, for the Susan G. Komen Race for the Cure Series. It’s the world’s largest and most successful education and fundraising event for breast cancer ever created! 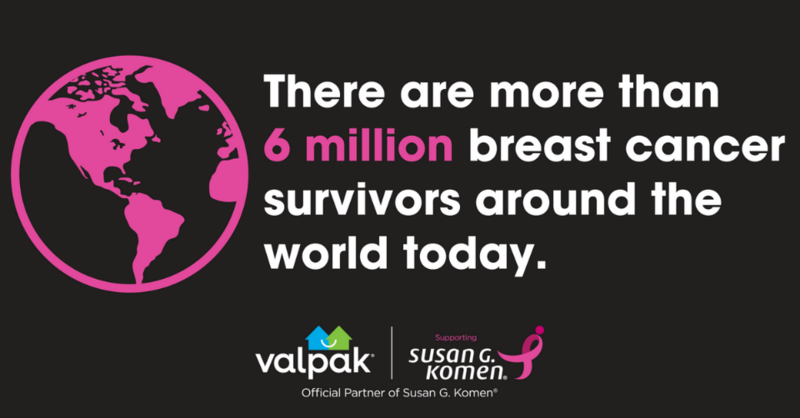 This year, Valpak is joining a community of bold companies that share in the vision of Susan G. Komen for a world without breast cancer. Can you imagine how amazing that would be? Valpak will turn its blue envelope PINK this October during Breast Cancer Awareness Month, while also working to raise local awareness within the communities they serve and funds in support of the fight to end breast cancer. 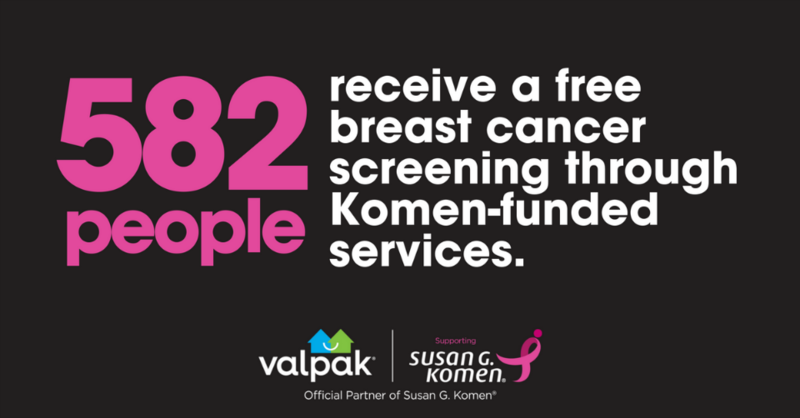 In 2018, Valpak is donating at least $50,000 to Komen and continues to encourage donations and support activations through local and corporate partners. Together this partnership will support women and men who have or will develop breast cancer in their lifetime, along with their loved ones and families. 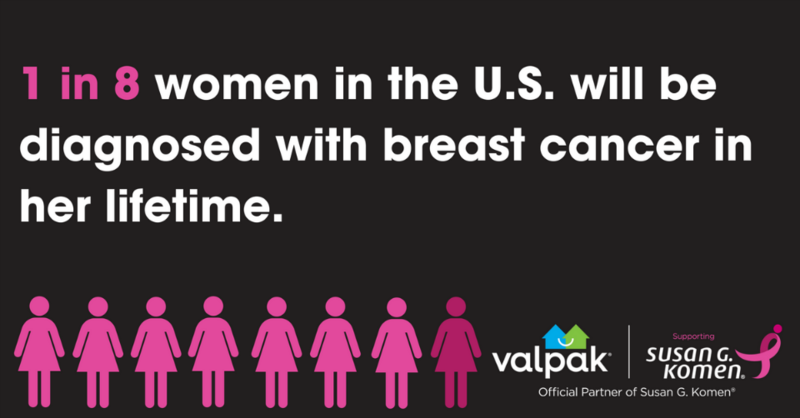 Join the Valpak team and Race for the Cure in your community while celebrating survivors and honoring those who have lost their battle with the disease. With 5K runs and fitness walks, Susan G. Komen Race for the Cure raises significant funds and awareness for the breast cancer movement and it will feel amazing to be a part of something that is making a difference in communities all over!